5527 N. Campbell Rd. 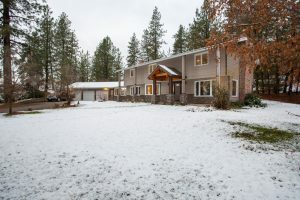 Otis Orchards, WA 99027 : Amazing Dream Home For Sale! 5527 N Campbell Rd – Stunning five bedroom home nestled in the trees on 9 plus acres! Property is fenced and ready for horses. Owner has spared no expense with tasteful updates to the kitchen and bathrooms. 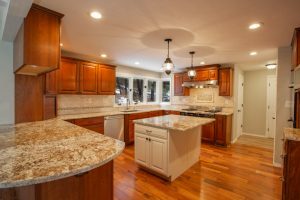 Kitchen features double ovens, grill top range, granite counter, newer cabinets and flooring. Formal dining. 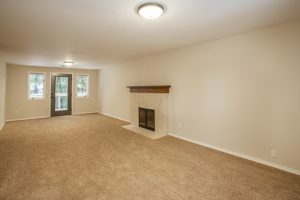 2 family rooms with fireplaces. Master suite is massive and includes a fireplace, huge walk in closet, french doors leading to a deck, and fully upated en suite bath. Warm and inviting, this is a must see dream home! Master suite with fireplace and a private deck! Not to mention a huge walk-in closet and bath.